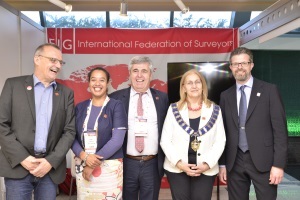 The current FIG Council at the FIG stand at the Congress 2018 with President Chryssy Potsiou in the lead. 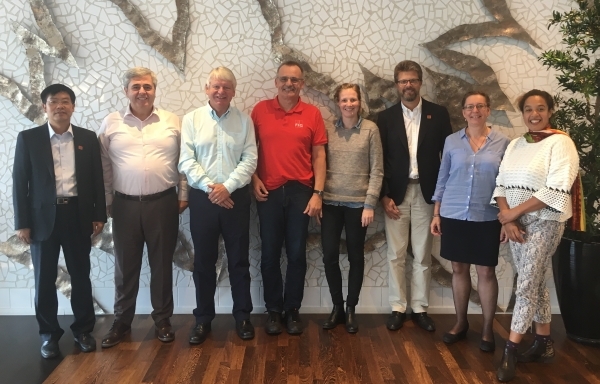 On 6 September the current FIG Council held its last face-to-face meeting for the term 2015-2018. Commission Chair of Commission 7 Gerda Schennach attended as representative of all commission chairs, the so-called ACCO representative. The meeting was a wrap up meeting after the now almost four years with current President Chryssy Potsiou in the chair. Several publications are on their way and will be published later in the year. In connection with the FIG/UNECE/UIA/CEEC conference: “Impact of Megatrends and Solutions for the Built Environment and Real Estate” a day of celebration will be held to mark both the 140th anniversary of FIG and the hand over to the next president. The event will be held in Athens, Greece 7-9 November 2018, in the hometown of the current Preisident Chryssy Potsiou. One teambuilding excercise included building a lego figure which challenged the cooperation and communication skills of all council members. 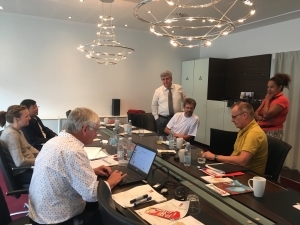 In order to get a good start of the work of the incoming council, and to prepare for the next term taking over from the current council and president by 1.1.2019 a two-day workshop was held in connection with the council meeting. Tom Kennie, who is a former council member, and well known among FIG members, competently facilitated this inspiring workshop. This workshop was supposed to kick off a strategy process and also be a teambuilding exercise. The two very intense days gave the incoming council members a qualified start of the council work and responsibilities. A very big thanks to Tom Kennie for facilitating the two intensive and inspirational days.